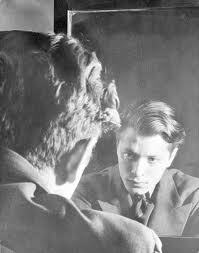 When I first heard that Lou Reed was influenced by the poet Delmore Schwartz, I was very happy. I love their work and I have been looking to write on the possible relationship between Reed’s music and Schwartz’s poetry for a while. With the passing of Lou Reed, this thought has crossed my mind more than once over the last few days. To my surprise, I noticed – just this morning – that The Jewish Philosophy Place had posted a blog entry on Lou Reed and Delmore Schwartz. 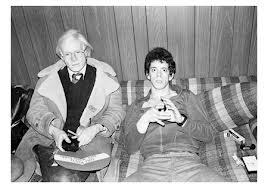 The entry didn’t look into how Reed may have been influenced by Schwartz; it simply noted that Lou Reed majored in English at Syracuse University where Zachary Braiterman, the author of the Jewish Philosophy Place Blog, teaches. Regardless, his blog entry prompted me to return to Schwartz’s work and to think about how it might relate to Reed’s music. I don’t want to go in depth about this or that influence on Reed, so much as point out their shared interest in irony and the comedic. What I love about their humor is that it doesn’t come from a high place that looks condescendingly on this or that target, so much as from an awareness of their own odd predicament in a world that is and is not theirs. Their fiction, poetry, and lyrics didn’t so much provide them with a form of redemption so much as a way of reflecting on their comic/odd relationship with America, their parents, and their dreams. They were both outsiders and regardless of their successes I can’t help but think that they thought of themselves as failures. 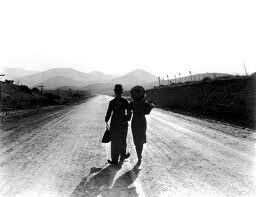 Yet, in the spirit of their art – and in the spirit of the schlemiel – this reflection wasn’t tragic so much as comic. They shared the realization that they were the “odd one’s out” and in this we can say that they are an “odd couple” of sorts. When Howe reread the story, he found not just a protest against history but also a protest against existence. But this voice wasn’t so much a voice of an existentialist as a voice “at home with the speech of people not quite at home with English speech.” In other words, Howe found in Schwartz the struggles that were familiar to children of Immigrants (a theme I have been discussing a lot on this blog vis-à-vis Gary Shteyngart’s work). All of this, Howe claims, comes out of Schwartz’s “anti-rhetoric.” This, he claims, was a “deliberate mimicry of immigrant speech.” And in this gesture, we find his sad and odd humor at work. The descriptions of the Baumanns as the paradigmatic Jewish-American-Immigrant family, while simple, are demeaning. By using this anti-Rhetoric Mr. Baumann comes across as a monster. And although they “like” fish, it seems he doesn’t like them. And he doesn’t seem to like their children who all seem so perfect. All of this indicates that he sees himself as the odd one out: he can’t become an American; at least, not like the Baumann’s or their children. However, we learn that Baumann has an “idle son” named “Sydney.” Fish identifies with him in some way. Toward the end of the story, we learn of Baumann’s relationship to Syndey, which Fish’s mother recounts to him. After hearing it, Fish feels abstract and removed from this world that he had left for Paris and returned to; he sees much of this world, which he had missed, as a “caricature, and an abstraction.” However, instead of being repulsed, we learn from the narrator that Fish wishes he could have “seen these lives form the inside, looking out”(32). He looks in the mirror and sees himself and the moment he is living in as ridiculous and a failure. But the point I want to make is that he sees this all against the fact that he shares so much with the people he originally despised. He wonders how his children will see him. Will they see him as a schlemiel? How does he stand in relation to the future? I hear this story put to words in Lou Reed’s song “Perfect Day.” It’s odd appeal to the other discloses something that Fish and the narrator of “America! America!” were acutely aware; namely, that we don’t really know who we are to others and that “all they say behind his back” and the “future” itself will only bring more “foolishness.” Regardless, I think Howe is correct: this kind of realization comes to Fish, the narrator, and Schwartz by way of being the child of Immigrants, by virtue of being between two worlds where one’s identity is constantly at stake. The day Fish comes to his realization is far from a “perfect” day, but, as he realizes, this is the way every day is and will be for him…until he dies. May Lou and Delmore – an “odd couple” – rest in peace…they no longer have to look in the mirror and wonder about who or what they are….